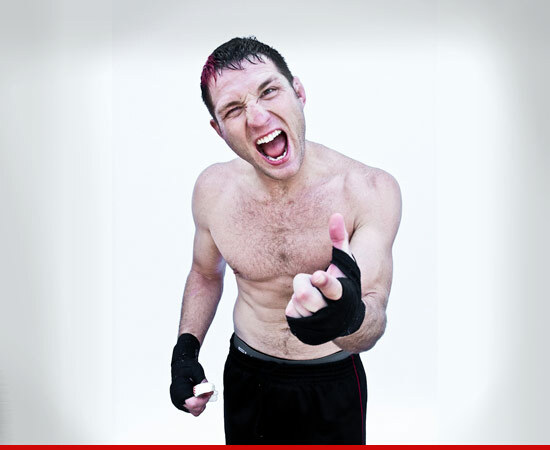 Ex-UFC fighter Jason “Mayhem” Miller was arrested today in Orange County, TMZ has learned — after allegedly breaking into a church, spraying a fire extinguisher all over the place, and getting buck naked. Law enforcement sources tell TMZ, the O.C. Sheriff’s Office received a call early this morning from the Mission Hills Church in Mission Viejo about a possible burglary in progress. When the deputies arrived, we’re told they found the first and second floors covered in white fire extinguisher spray. Cops say the place was also trashed — scattered CDs, books, and broken pictures. When officers reached the 2nd floor, we’re told they found Miller naked on some couch — totally awake and coherent. Miller — who also hosted the MTV reality show “Bully Beatdown” — was taken into custody for burglary, and is currently being medically evaluated. It’s unclear if Miller was under the influence.